I am NOT a big series reader. As a youth services librarian, I usually feel like reading the first book in a series is good enough. I get to know what the book is like and who I would hand it to. No need to read the rest of the books when there are so many more first books to read. Plus, it's hard for me to keep track of characters and plots for months or a year while waiting for the next book to come out. Gr. 4-7. Katherine Tegen Books. Review copies provided by publisher. When Kara Westfall was six years old, her mother was convicted of the worst of all crimes: witchcraft. She was sentenced to death and ever since that happened, Kara’s family has been shunned by the community because to them, magic is the most evil thing there is… except maybe the enchanted forest that covers much of their island home and grows larger every day: The Thickety. And that’s just the beginning of the story. If you like a fantasy magic adventure story that’s a little bit scary and completely engrossing, this is a great choice for you. Even though the book is really thick, the pages are small, so it’s actually a pretty fast read. I love that it almost feels like you’re holding a spellbook as you read. 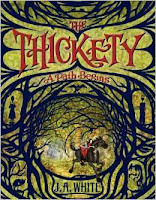 And this is the first book in the Thickety series, so if you like this one the adventure continues in the next books. 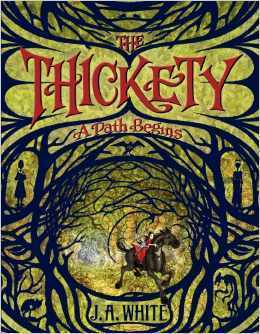 1: The Thickety: A Path Begins (2014) 496 pages. 2. 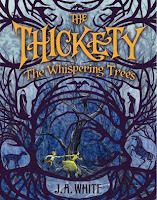 The Thickety: The Whispering Trees (2015) 517 pages. 3. 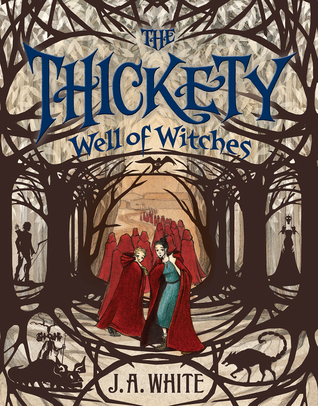 The Thickety: Well of Witches (2016) 505 pages. The books in this series are fast-paced and magical with a strong heroine. 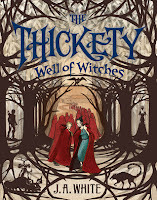 I have always been drawn to witch stories, but more than that, this series is about a girl against the world, a girl that few people in her community (including her own family) really see or care about. She's imperfect, she's fallible, but Kara would do anything to protect her little brother. I just love Kara so much and I'm rooting for her the whole way through. The world that J.A. White has created here is intriguing and detailed. Magic is not to be trusted, even by those who may wield it themselves, and yet it's an irresistible force. There's history here. And I think the format of the books have a lot to do with my love for them. When I booktalk this series, I always mention the design of the books. They're thick and long, but because the trim size is small, the pages go by in a flash. You can read a quite long book in a relatively short amount of time (and then feel very accomplished). The pages have beveled edges (those rough-hewn pages) and the overall effect is that you might actually be reading from a spellbook, which adds to the allure of the magical story. Readalikes: The Castle Behind Thorns by Merrie Haskell (Katherine Tegen Books, 2014) for its blend of mystery and fantasy. 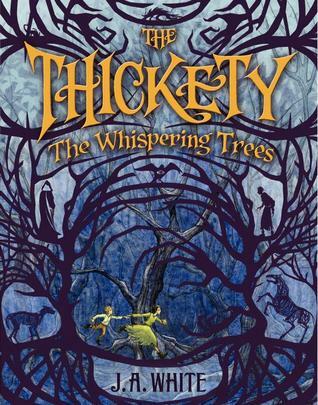 Dreamwood by Heather Mackey (Putnam, 2014) for its fantasy wilderness adventure. The Septimus Heap series, first book Magyk by Angie Sage (Katherine Tegan Books, 2005) for readers who love the small "spellbook-y" format and a magical story (although the tone is different). So, there you have it: a series I love and have actually kept up with. There are a few more, so look for more series features in the weeks to come! What series do YOU love? ?